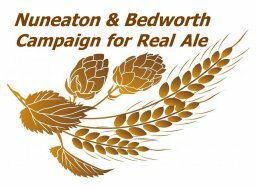 Welcome to the website for the Nuneaton & Bedworth branch of The Campaign for Real Ale (CAMRA). The branch area covers the CV10, CV11 & CV12 postcodes plus the Wolvey area of LE10, and now extended to parts of CV7 covering Arley & Fillongley to Withybrook. Our "Local Real ale Pubs" page shows our area map. We currently have over 450 members in the area, all with real ale at heart. We meet on the Second Tuesday of the month at various pubs around the area and would be pleased to see you at any of these gatherings. Sometimes these meetings are more formal (branch meetings) but more often a mixture of business and pleasure (Good Beer Guide surveying etc.). We try to cover most of the area over the course of the year but are always open to new suggestions. How about getting more involved in the running of your local branch? There are several vacancies on the committee and we need people to make things happen, such as doing the groundwork for the annual Beer Festival. If you can spare a bit of time, or can offer any knowledge or expertise then come along to the next Branch Meeting or Social (see Branch Diary page) or contact the Branch direct (see Contacts page). Details of the diary are published in the monthly CAMRA newspaper "What's Brewing", the Lichfield, Sutton & Tamworth Branch magazine "Last Orders" and on our facebook page http://www.facebook.com/Nuneaton.Camra and on this website, http://www.nuneaton.camra.org.uk/ . You can also follow us on twitter https://twitter.com/NuneatonCAMRA and you can contact us by e-mail by following one of the links on the "Contacts" page .